Bone broths have become all the rage, especially for those who are dealing with autoimmune disease, and fish broth is one of the most flavorful. Adding veggies and herbs is optional, but definitely enhances the flavor. In general, you can use any broth recipe, but if you are doing an autoimmune protocol, replace any butter or ghee with olive or coconut oil, and eliminate any wine or other alcohol. You may also need to eliminate some herbs or spices, especially those that come from seeds. Fish carcass/bones: use all the throw-away parts including head and eyes (cut off the gills), bones, fins and tail. Don’t use parts from farmed fish. The veggies (onion, carrot and celery) are simple but should be organically grown (especially celery because commercial celery is heavily treated with pesticides/herbicides). You can coarsely chop them or leave them whole to save time (if using a crockpot). A small amount of raw apple cider vinegar (ACV) is added to draw the nutrients out of the bones. Unrefined sea salt is added just before drinking, to bring out the flavor. It is very important to use filtered water (the best is reverse-osmosis filtered water which removes problematic chlorine and fluorine, especially for your thyroid). Use unrefined sea salt, such as Himalayan, Celtic or Redmond (Real) salt. If these are not available, use table salt that has NOT been iodized, or Kosher salt. Use a regular stock pot on your stove-top rather than a crockpot, because the fish parts cook too quickly for a crockpot. A mesh stainless steel strainer lined with a loose-weave cotton (like good-quality cheesecloth) is used to strain the broth; you can also use tongs or a slotted wooden spoon to remove the large chunks before straining. If you want to stir the broth while cooking, use a wooden spoon. This is an adaptation of my Fish Stock recipe, with hints from recipes by Dr. Kelllyann (1), Maria Atwood (2), and The Paleo Way (3). My original Fish Stock recipe includes butter (for sautéing the veggies) and wine. However, if you are making the bone broth as part of an autoimmune protocol, butter and alcohol cannot be included. Instead, use olive or coconut oil for the sauté and I’ve omitted the wine. Do not use bones and trimmings from oily fish like salmon, because it will give the broth an off-flavor if they cook for a long time (the oils become rancid). 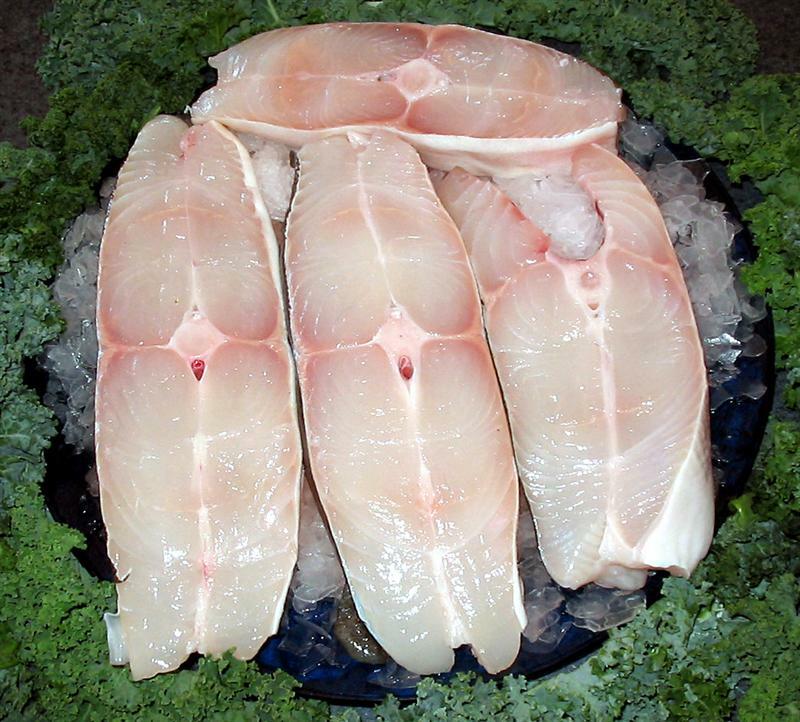 Instead, choose from halibut, cod, sole, rockfish, turbot, or tilapia. Do not use a crockpot, because the fish trimmings cook very quickly. “Don’t overcook or your house will smell for days. Most people seem to think that because bone broth is cooked for long periods, so is fish broth. But once the head and bones are immersed in boiling water, 1–1½ hours at a low simmer is long enough. * A bouquet garni is a collection of fresh herbs tied into a bundle, or wrapped into a bit of tied-up cheesecloth, then immersed into the cooking broth. It is easily removed all in one bunch, when needed. Wash fish heads and cut off gills. Wash fins, tail and bones. Coarsely chop carrots, celery and onion. Using stock pot over a low heat, sauté veggies in melted butter/ghee or olive/coconut oil, stirring occasionally, for 20 minutes. Add fish trimmings and add enough cold filtered water to cover by 1″. Stir in apple cider vinegar. Don’t cover the pot – or keep the lid askew. Raise heat to medium just long enough to come to a slow simmer. Skim the film off the top. Add herbs and reduce heat to low. Cook at a slow simmer for about 50-60 minutes, skimming off any film at the top as needed. Off heat and remove all bones using a slotted spoon. Add salt to taste, OR wait to add salt when ready to drink the broth. Cool, covered, on countertop, then refrigerate if not using right away. Skim off any fat that has solidified at the top. It will keep, refrigerated, 4 – 5 days, or it can be frozen for 3 or more months. This entry was posted in Fat or oil, Fish, Herbs, Leafy Veggie, Medicinal, Onion family, Root Veggie, Stove top, Vinegar and tagged carrot, celery, fish bones, onion. Bookmark the permalink.